These days the competition is stiff for any business in the Chicago area. One way to stand out from the rest is through superior signage. Exterior LED signs are one of your best options. Let’s find out why. 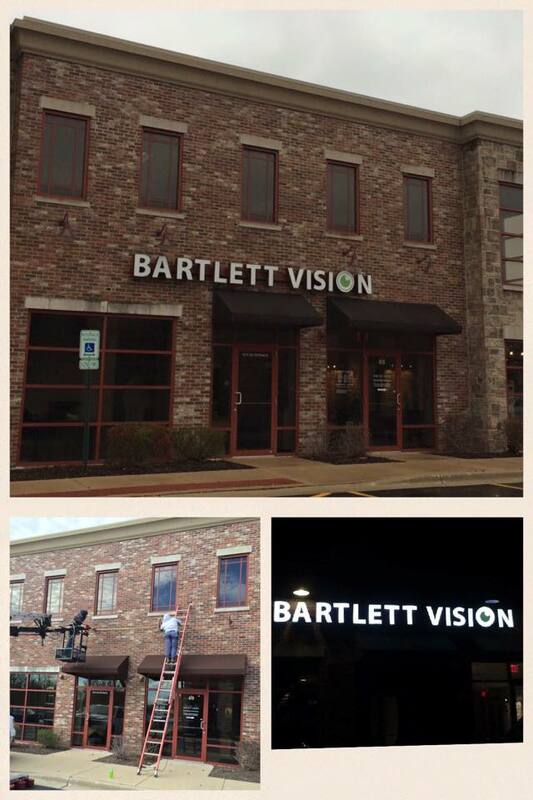 Fantastic LED exterior lighted signs for the Chicago area. Contact us or call at (630) 289-7082. Clean lettering, precision spacing, in an attractive package - we can help with design ideas so your sign turns out exactly the way you like it. Even if you don’t have evening hours, your sign can still work at night. Installing a lighted sign helps transmit your brand message no matter what the hour. LED lighting is superior since it lasts longer, consumes less energy, and produces little heat. In fact, LED light bulbs last up to 50 times longer than traditional incandescent light bulbs. Your outdoor sign does a lot more for your business than you can imagine. The signage alone can entice people to visit. Quality signage even influences buying decisions. One reason is that if you have an attractive, well designed sign it promotes trustworthiness. When your sign is prominent and memorable, you become a reference point. 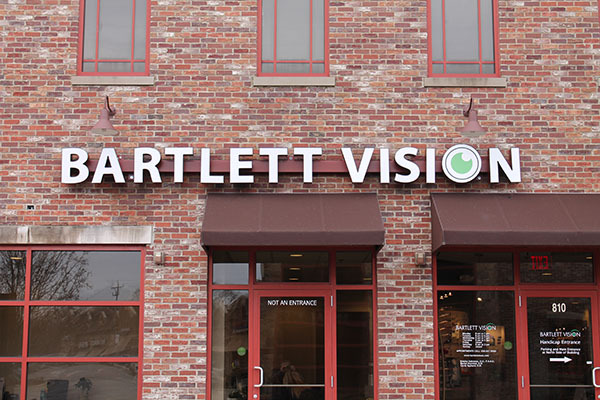 When giving directions, they might say something like, “Just around the corner from Bartlett Vision.” They say this because they see your sign. When you become part of daily conversation, your brand influence grows. If your exterior signage looks run down, your message to the world is that your business is run down. You can change this quickly with high quality designed and installed exterior LED signs. We can help you with ideas, and we provide full installation service as well. Once you install your new sign, don’t be surprised if you start getting more traffic through your door. Before you know it, there’s a good chance your investment will be paid off fast. Since LED signs are long lasting, you’re sure to get many years of benefit from your signage. Install a new exterior LED sign and watch your business grow. Contact us or give us a call at (630) 289-7082.